Microsoft has published a new roadmap website for business and enterprise customers detailing features coming to Windows 10. This roadmap not only shows features coming to PCs, but to HoloLens, IoT, Surface Hub, Windows 10 Mobile, and industry devices like kiosks, ATMs, POS devices. I’d also encourage taking a look at the Microsoft Edge Platform Status at https://developer.microsoft.com/en-us/microsoft-edge/platform/status/to learn more about features coming to Microsoft Edge. Here’s an APPortunity to Go Mango! Microsoft has a really cool new promotion running that I thought I’d let everyone know about. It’s called GO Mango!, and it’s designed for you phone developers out there to design and develop apps for Windows Phone 7. For every app you submit, you’ll receive an entry to win a Samsung Series 7 Slate, and for every five apps you submit, you can win free advertising for one app of your choice. If you have not developed for Windows Phone before, here’s a link to the Windows Phone SDK, http://bit.ly/GoMango. To participate in this promotion, you need two things. The first, an app that you’ve developed, and the second is the ever important promo code. For this promotion, the code is 8UCVN. Fill out the form located at http://bit.ly/MangoOffer, include the promo code, and submit your app today! Author TomPosted on October 24, 2011 Categories Microsoft, Phone, Student Insiders, WindowsTags Mango, Microsoft, Microsoft Advertising, Samsung Series 7, Windows Phone, Windows Phone 7Leave a comment on Here’s an APPortunity to Go Mango! Tonight in New York City, Steve Ballmer along with Jon Perera, General Manager of Microsoft Education, Arthur VanderVeen, CEO of the Office of Innovation at the New York Department of Education, Jeffrey Sachs, director of The Earth Institute at Columbia University and Special Adviser to United Nations Secretary General Ban Ki-Moon, and Dennis Crowley, co-founder and CEO of Foursquare officially opened the 2011 Imagine Cup Worldwide Finals. The energy in the room was electric. The passion and the excitement from the students here is incredible. As soon as Ballmer’s name was announced the noise level in the room intensified. It was crazy. 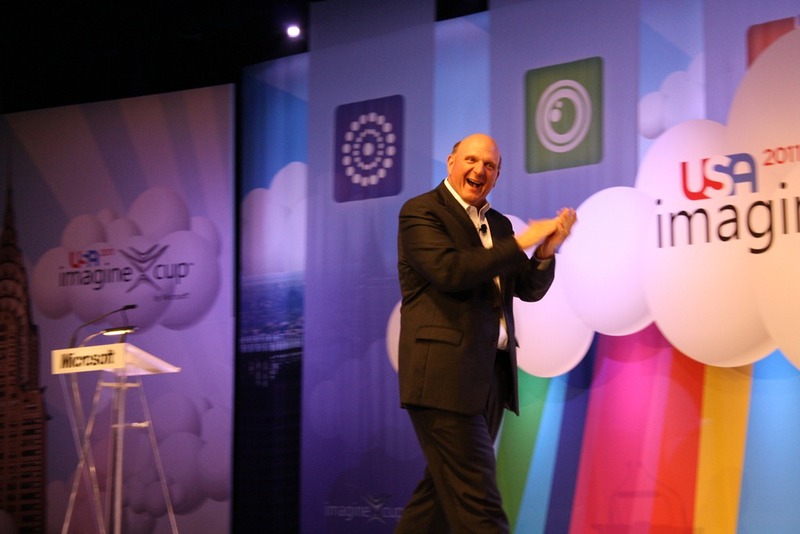 Ballmer talked to the students about how they are in a business that is constantly working to change the world. 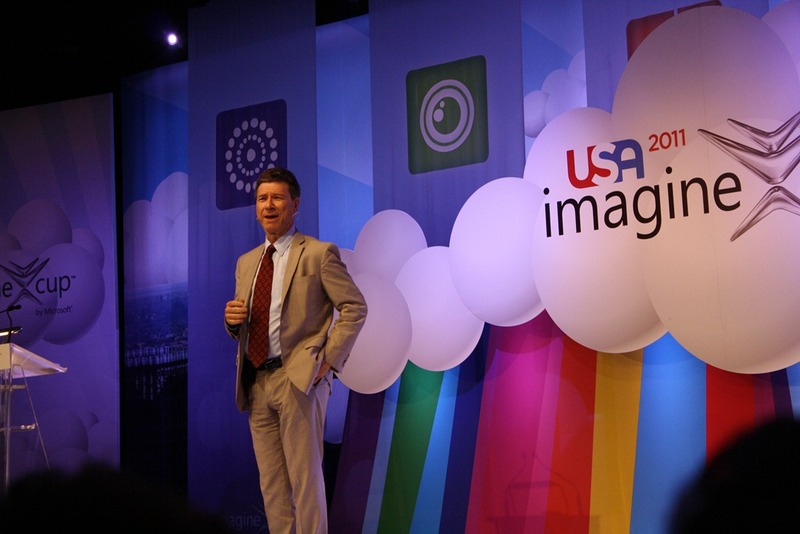 He talked about the importance of the cloud and the impact it is having on the world and the students’ projects by enabling real time collaboration, commerce, and social interaction. Ballmer also talked about how devices of the future would be dynamic, faster performing, and include more sensors and do more things. Ballmer also mentioned that Natural User Interfaces would open up new possibilities and enable even more people to use computers. To close out his remarks, Ballmer gave the students three key pieces of advice. The first is that ideas matter. When you come up with an idea make note of it. Stick with it. The second is to be passionate about what your idea and what you do. The third is to be tenacious. Don’t give up. Stick with it and see the idea through until the end. Jeffrey Sachs then came to the stage and talked to the students about how the world has changed and there are many challenges that we face. These challenges range from strain on world food supplies to population growth, climate change, hunger, and others. He told students they were being given a lifetime homework assignment, and that this assignment was to find ways to better the world and to solve these tough challenges. To close out the evening, Dennis Crowley came to the stage and talked to the students about sticking with their ideas and seeing them through. He talked about his experience with startups and said that Foursquare’s success is “built off of 10 years of failure.” He told students to never give up on their ideas and that even if the present wasn’t the best time for their idea, it could be a year from now, two years for now, or even ten years from now, but to be persistent and stick with it. I’ve arrived in New York City for the 2011 Microsoft Imagine Cup. For those of you just joining us, the Microsoft Imagine Cup is the premier student technology competition. I tend to tell people that it’s the Olympics of technology. 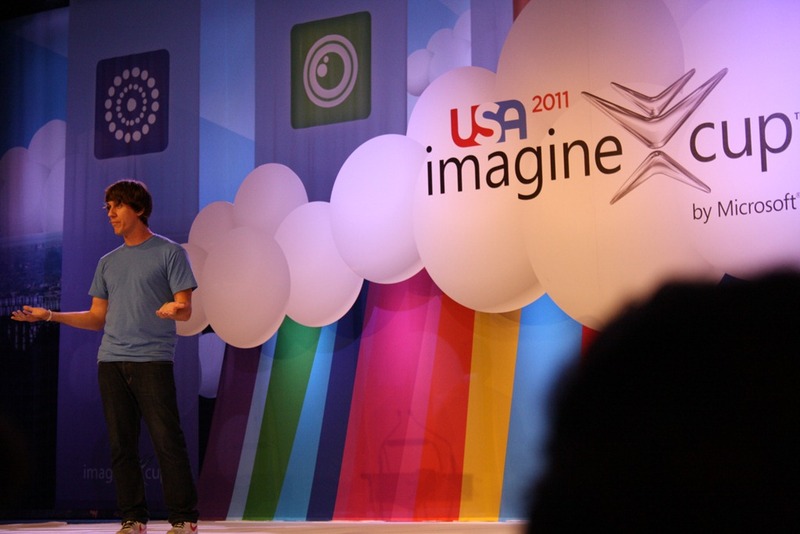 At the Imagine Cup, the top students from around the world come together to compete against each other in categories such as Software Design, Game Design, Embedded Development, and the Windows Phone 7 challenge just to name a few. The Imagine Cup Worldwide Finals begin this Friday, July 8th and end Wednesday, July 13th. For more on Imagine Cup please visit www.imaginecup.com, or search for #ImagineCup on Twitter. You can also follow me on Twitter, @tziegmann, to follow along this week as well. Recently, a friend and fellow Microsoft enthusiast, Robert McLaws, had gone to an AT&T store to check out Windows Phone. Much to his dismay, the demo unit was in a location out of sight and wasn’t even plugged in. When he spoke with a sales rep, that individual tried talking him out of Windows Phone and into Android. Not happy with this, McLaws began to talk with different people only to find out that they were having the same type of experience. He decided that there needed to be a way for people to share their experiences in hopes of Microsoft and the mobile carriers taking notice. 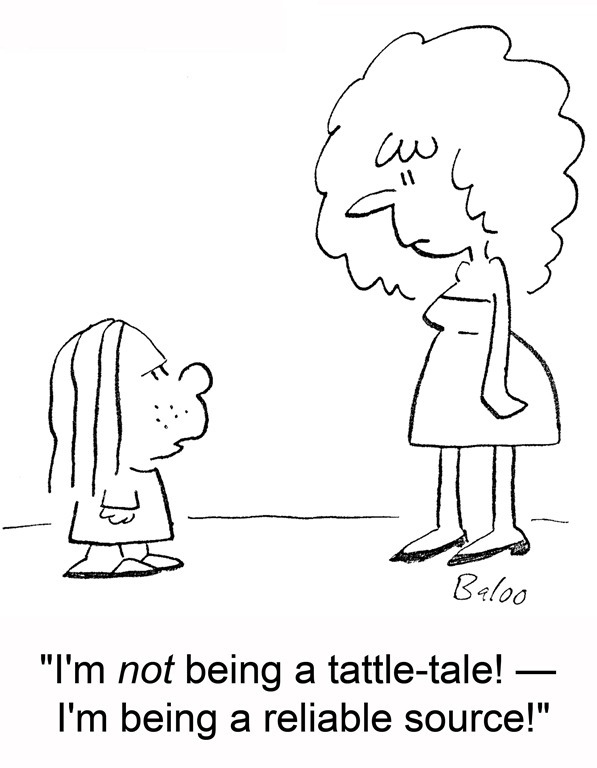 He created Windows Phone Tattletale, a website where people can post what happened to them when they inquired about Windows Phone from their carrier or nearest reseller. When it comes to the success or failure of Windows Phone, there is a shared responsibility. Microsoft, the mobile carriers, the hardware partners, and the independent retailers all play a role. Microsoft needs to improve its efforts to get people past the stigma of a) “Windows” (people hear it and think Windows running on a phone), b) the Kin disaster, and c) Windows Mobile. The mobile carriers need do to more to train their direct sales people on Windows Phone and provide better marketing and visibility of the platform. The hardware partners need to do better quality assurance on their hardware (see Samsung Focus), and the independent retailers need to provide better training for their employees. If you’ve had an experience (good or bad) at retail with Windows Phone, I strongly recommend you share it over at Windows Phone Tattletale. The more data that can be gathered the better, I say. In talking to different people about why they should own a Windows Phone, I did some research and have found that no one has written a post on this topic. First, however, I want to clear up some common misconceptions that I hear in the marketplace. Windows Phone is NOT Windows Mobile. These are two completely different mobile operating systems, and Windows Phone has been redesigned from the ground up. Windows Phone can’t be any good because it doesn’t have as many apps as iPhone or Android. If you’re rating an entire platform solely based on the number of apps in its marketplace, you’re doing it wrong. All the platforms have really good apps and all the platforms have those apps that are full of epic fail. Don’t pay attention to what the sales reps at the carriers say. They don’t know of which they speak. I visited 10 T-Mobile, AT&T, and Verizon stores here in Phoenix, and only one guy from one carrier even knew what Windows Phone was and knew correct factual information about it. 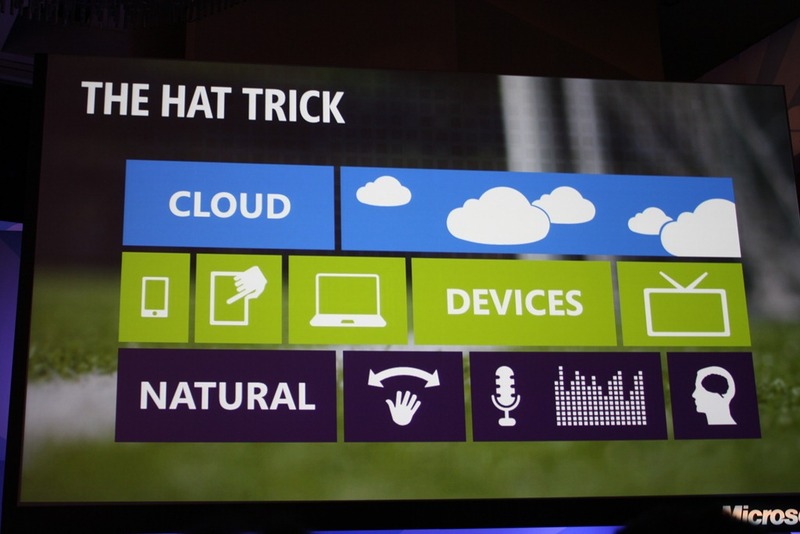 Second, set aside all preconceived notions about a) Windows Phone and b) Microsoft. Alright, now that the disclaimers are out of the way, let’s move on to the fun stuff. So, what is Windows Phone 7? Here’s the answer. Windows Phone 7 is Microsoft’s new mobile operating system. Redesigned from the ground up with all new features and an innovative user interface, Windows Phone 7 is the newest entry in the ever expanding smartphone market. 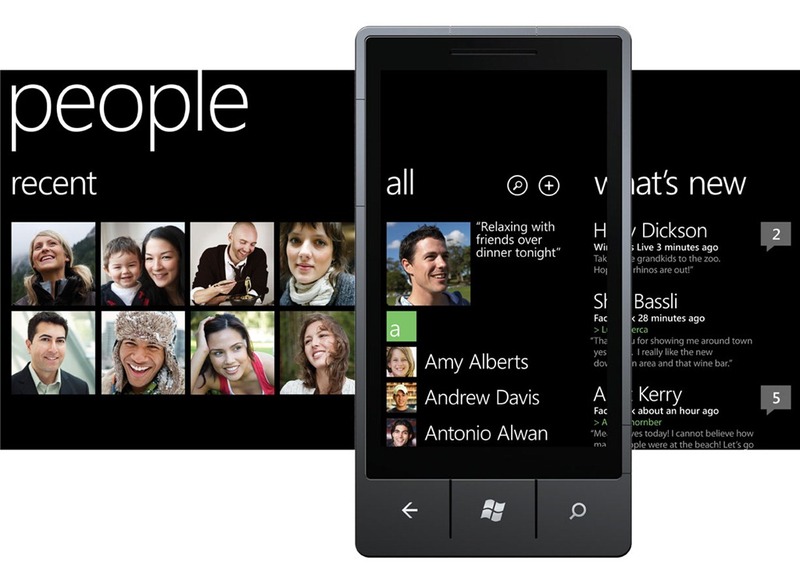 Windows Phone 7 features a UI called “Metro.” Metro is designed to be a glance and go interface. By bringing the information that matters the most (unread emails, missed calls, unread text messages) to the forefront, users don’t have to spend a lot of time searching for information. A key part of Metro, is Live Tiles. Live Tiles take the tile for an application on the home screen and provide always update information. Some examples of this usage are The Weather Channel app which provides the current temperature on its tile and Beezz which will show you the number of unread tweets in your timeline. If you really want to dive in and learn more about Metro, I highly recommend reading Microsoft’s UI Design and Interaction Guide for Windows Phone 7 document. It goes into a lot of detail about what Metro is. What sets Windows Phone 7 apart from the pack are its features. Let’s look at those now. Zune integration – Every Windows Phone is a Zune and has the ability to connect to Microsoft’s Zune Pass service. Unlimited music across your phone (on Wi-Fi and 3G), your computer, and Xbox 360. How cool is that? 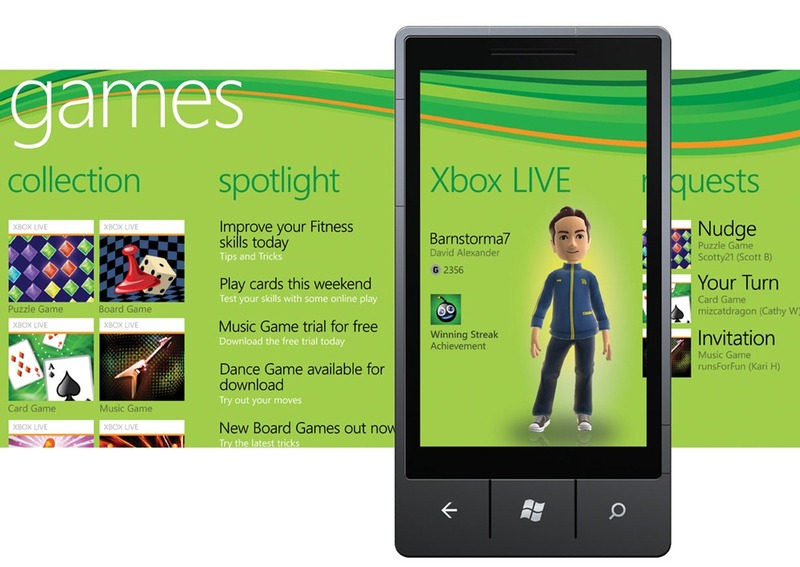 Xbox Live integration – Many games available for Windows Phone tie into Xbox Live. This means that things like achievements, avatars, leaderboards, messaging and more are available directly in Windows Phone. Cloud integration – Windows Phone integrates with Facebook, Google, Windows Live services like Hotmail and SkyDrive, and coming in the fall is integration with Facebook chat, Windows Live Messenger and Twitter. Contacts are automatically synced to Windows Live or Google, and pictures can be sent to SkyDrive as they are being taken. Bing integration – Every Windows Phone is required to have a dedicated search button. This search button connects to Bing and provides an awesome search experience. Using the built-in GPS, Bing provides local search and can then provide driving directions to your destination. Bing also provides web and news searches as well. Office integration – Windows Phone features native Office integration. Word, Excel, Powerpoint, OneNote, and Outlook are all available on Windows Phone. This provides native support for viewing and editing documents, spreadsheets, and presentations on the go. For those in enterprise environments, access to SharePoint document libraries is also integrated. Voice Search – With Windows Phone, you can use voice search commands to call someone, locate a business in your neighborhood, or open applications. My favorite part about this is that when you want to locate a business in neighborhood all you have to say is “Find a McDonalds in Phoenix” and it will open Bing directly to the local pane and show a map of the McDonalds near you. It’s quick, it’s easy, it’s simple. Microsoft has done a lot of things right with Windows Phone 7. They’ve provided deep rich integration with the services we all use on a daily basis, designed an innovative user experience, and with today’s announcement of what is coming in the next release of Windows Phone (available for all Windows Phone devices), have upped their game even further. I strongly recommend that you visit your local cell phone provider and get hands on with a Windows Phone. The HTC Surround, introduced November 9th, 2010, is a Windows Phone 7 device for AT&T (US) and Telus (Canada). The device features 16GB of internal storage and is powered by a 1 GHz Qualcomm QSD8250 processor along with 448MB of RAM. A key differentiator for this device is the speakers powered by Dolby mobile technology and SRS. For photos and videos the device features a 5MP camera and the ability to record video at 720p. The Surround is in my opinion, one stout phone. Weighing in at about 6 ounces, the phone doesn’t feel like it would fly out of your hand, but it is also not so heavy that it becomes a burden to hold to your ear while talking. The slide mechanism to uncover the speakers is not flimsy, but fairly tight. I haven’t used the phone long enough to determine if the slide weakens over time, but overall I’d say that the hardware itself is pretty solid. Because this phone is called the “Surround” I had to test the speakers. In my opinion, they aren’t the greatest mobile phone speakers. They are definitely louder than the ones on my HTC HD7, but the sound enhancements seem very gimmicky. If you are only considering buying this phone for the speakers, you’ll be disappointed. For video and camera quality, I was pleasantly surprised. The camera takes decent pictures, and for recording video, the quality is as good as it can be at 720p. The Surround runs Windows Phone 7, and comes stock with the original (what I call 1.0) release of the operating system. At this point, AT&T has approved the “NoDo” (Copy and Paste) update for the device, so updating the software through Zune was not an issue. For this particular device, there was an included update from HTC for the device as well, but no details were provided on what it fixes. For running Windows Phone 7, performance was very sub-par. Many times, the device would lag when a phone call was received and I had to pull the battery and reboot several times in my week of testing. I was around a few others who have also just received HTC Surrounds who were seeing these same issues. Because of this, I’m inclined to believe that the device is underpowered at 448MB. Other than these issues, the OS and apps installed on the device performed as expected with some lag due to the small amount of memory in the device. In the interest of full disclosure, the device is designed for the AT&T network, but I SIM unlocked it for use on T-Mobile, so I was limited to the EDGE network, so I can’t accurately test the performance of the phone on a 3G network. However, call quality was very clear and very loud. I had no issues hearing what callers were saying and they had no issues hearing what I was saying. In my opinion, the HTC Surround is fairly decent phone. However, it is does have issues. The biggest issue that I’ve experienced is the lack of performance with the OS. The freezing and the constant lock ups make the device near unusable. For being advertised as a phone with Dolby and SRS technology behind the speakers, it’s a gimmick. Sure, the speakers don’t sound tinny, but watching a movie from Netflix on the device won’t be a magical and memorable experience. I liked the photo and video quality of the Surround, which is a major plus. I like the overall size of the device. It’s not too big, not too small, it’s just right. If HTC, Microsoft, and AT&T can all work together to solve the performance issues, I see the Surround as a great device in the Windows Phone lineup. I give the HTC Surround 3 out of 5 stars. I like Windows Phone 7, the size and weight of the device, and the photo / video quality. The speakers are too much of a gimmick and the performance issues are a concern.